London, UK – 28 September 2017: Ergomed plc (AIM: ERGO) (“Ergomed” or the “Company”), a specialised pharmaceutical services and drug development company, today announces the proposed acquisition of PSR Group BV (“PSR”), an international niche contract research organisation (“CRO”), specialised in orphan drug development (the “Acquisition”). Ergomed has agreed to acquire 100 per cent of the issued share capital of PSR Group BV for a total consideration of up to €5.7 million. The Company also announces its intention to conduct a placing to raise gross proceeds of £2.9m (the “Placing”) to part-fund the Acquisition through the issue of 1,757,576 new ordinary shares of 1 pence each (the “Placing Shares”) at a price of 165 pence per share (the “Placing Price”). The Placing will be conducted via an accelerated bookbuild. he Acquisition and Placing are interconditional. The Acquisition is consistent with Ergomed’s stated strategy to grow its existing, profitable services business both organically and through bolt on acquisitions. Ergomed has particular expertise in the development of orphan drugs as part of its profitable and fast growing CRO offering, which provides a full range of high quality contract research and trial management services across all phases of clinical development. PSR’s extensive expertise in orphan drug development will complement Ergomed’s services and will further strengthen Ergomed’s orphan drug development capability in addition to expanding its current services portfolio. 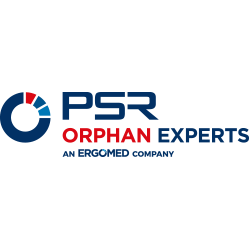 PSR, established in 1998, and based in the Netherlands, is a specialist orphan drug CRO and recognised as a leading expert in rare diseases. As part of the Acquisition, Ergomed will continue to grow PSR’s global orphan drug development business under the PSR brand and will remain focused on its two divisions: (1) PSR Orphan Experts, which is a leading expert in supporting biotech and pharma companies with their regulatory and clinical development of orphan drugs (c. 75% of revenues); and (2) PSR Pharma Resource, which complements PSR Orphan Experts as a niche staffing provider, focused on orphan drug specialised staff (c. 25% of revenues). Orphan drug development is a specialist and growing field. Orphan diseases are severe, debilitating or even life-threatening conditions which affect fewer than 1 in 2000 people (EU definition) or fewer than 200,000 people in the US (US definition). Although patient numbers in individual indications are limited, there are a total of 30 million people worldwide suffering from rare diseases. The orphan drug market to target these diseases continues to grow and requires highly specialised providers due to the regulatory, logistical and operational complexities of conducting clinical trials in these indications. Due to their characteristics, combined with the rarity of the diseases, orphan drug clinical studies typically are complex and run in small patient cohorts with potentially faster market entry. The Acquisition will bring together Ergomed’s global geographical footprint, including its presence in the MENA region, an area which is important for orphan drug development, and PSR’s significant expertise and strong brand. Ergomed believes the combination will have the scale and specialism to compete effectively in the global CRO market. Ergomed has a track record of successful identification and integration of acquisitions and the Company continues to pursue opportunities to acquire services businesses which are consistent with its strategy of becoming the global leader in pharmacovigilance services, the leading CRO in orphan drug development and to strengthen its CRO network through geographic expansion and / or complementary service offerings. Under the terms of the sale and purchase agreement (the “Acquisition Agreement”), Ergomed is acquiring 100 per cent of the issued share capital of PSR for an initial consideration of €3.2 million (£2.8 million), with a contingent consideration based on the achievement of EBITDA targets for 2017, 2018 and 2019 of up to an aggregate €2.5 million (£2.2 million). The initial and contingent consideration will both be satisfied partly in cash and partly in new Ergomed ordinary shares. The initial share consideration will be satisfied through the issuance of 323,813 new Ordinary Shares in Ergomed (the “Initial Consideration Shares”) at an issue price of 165 pence per share. The Initial Consideration Shares are subject to a 12 month hard lock-in and 6 month orderly market provision. Admission of the Initial Consideration Shares is expected to take place at 8.00 a.m. on 2 October 2017. The Acquisition is expected to be immediately accretive to Ergomed’s 2017 earnings per share. The Acquisition is conditional only upon the placing agreement between the Company, Numis and N+1 Singer (the “Placing Agreement”) becoming unconditional and upon Admission (as defined below). The Acquisition Agreement includes warranties and indemnities from certain of the sellers in favour of Ergomed. Claims by Ergomed against such sellers under the warranties and indemnities are subject to certain financial thresholds and caps and also, in the usual way, to matters disclosed by the sellers. In the year ended 31 December 2016, PSR reported revenue of €4.7 million and adjusted EBITDA of €0.34 million and had net assets at 31 December 2016 of €0.41 million. For the 6 months ended 30 June 2017, PSR reported unaudited revenue of €2.4 million and unaudited EBITDA of €0.26 million. The Placing will open with immediate effect following this Announcement. Numis and N+1 Singer have been appointed as joint bookrunners (the “Bookrunners”) in respect of the Placing. The number of Placing Shares to be placed and the Placing Price have been determined by the Company and the Bookrunners and are fixed. The timing of the closing of the Placing and allocations are at the discretion of the Bookrunners. Under the terms of the Placing, Ergomed intends to place 1,757,576 new ordinary shares of 1 pence each in the capital of the Company, representing approximately 4.3 per cent of the existing issued ordinary share capital of the Company. Members of the public are not entitled to participate in the Placing. A further announcement confirming the closing of the Placing will be made in due course. The Placing Shares will, when issued, be credited as fully paid and will rank pari passu with the existing ordinary shares of 1 pence each in the capital of the Company including the right to receive all future dividends and distributions declared, made or paid by reference to a record date falling after their issue. The Company has applied for the Placing Shares to be admitted to trading on AIM (the admission of the Initial Consideration Shares and the Placing Shares together, “Admission”). It is expected that settlement of subscriptions in respect of the Placing Shares and Admission will take place and that trading in the Placing Shares will commence at 8.00 a.m. on 2 October 2017. Following Admission, the total number of Ordinary Shares in the Company will be 42,680,813. The Company holds no treasury shares and therefore the total number of voting rights is 42,680,813. The Placing is conditional upon, inter alia, Admission becoming effective and the Acquisition Agreement having become unconditional (save as to Admission). The Placing is also conditional upon the Placing Agreement becoming unconditional and not being terminated. Further details of the Placing Agreement can be found in the terms and conditions of the Placing contained in the Appendix to this Announcement (which forms part of the Announcement). By choosing to participate in the Placing and by making a verbal offer to acquire Placing Shares, investors will be deemed to have read and understood this Announcement (including the Appendix) in its entirety and to be making such offer on the terms and subject to the conditions in the Announcement, and to be providing the representations, warranties and acknowledgements contained in the Appendix. Your attention is drawn to the detailed terms and conditions of the Placing set out in the Appendix to this Announcement. The Company announced its unaudited results for the six month period ending 30 June 2017 on 18 September 2017. This contained an update on current trading and outlook. In addition, the Company is having exploratory discussions with other potential acquisition targets. There can of course be no guarantee as to whether these exploratory discussions progress. This announcement contains inside information for the purposes of Article 7 of EU Regulation 596/2014 (“MAR”). In addition, market soundings (as defined in MAR) were taken in respect of the Placing with the result that certain persons became aware of inside information (as defined in MAR), as permitted by MAR. This inside information is set out in this Announcement. Therefore, those persons that received inside information in a market sounding are no longer in possession of such inside information relating to the Company and its securities. PSR’s dedication to the rare disease landscape is exemplified by an extensive track record of orphan drug projects in a wide range of therapeutic areas, its continued efforts to achieve true patient centricity and its societal commitments by participation in fundraising activities and public-private partnerships. For further information, visit: http://www.psr-group.com. This Announcement includes statements, estimates, opinions and projections with respect to anticipated future performance of the Company (“forward-looking statements”) which reflect various assumptions concerning anticipated results taken from the Company’s current business plan or from public sources which may or may not prove to be correct. These forward looking statements can be identified by the use of forward looking terminology, including the terms “anticipates”, “target”, “believes”, “estimates”, “expects”, “intends”, “may”, “plans”, “projects”, “should” or “will”, or, in each case, their negative or other variations or comparable terminology or by discussions of strategy, plans, objectives, goals, future events or intentions. Such forward-looking statements reflect current expectations based on the current business plan and various other assumptions and involve significant risks and uncertainties and should not be read as guarantees of future performance or results and will not necessarily be accurate indications of whether or not such results will be achieved. As a result, prospective investors should not rely on such forward-looking statements due to the inherent uncertainty therein. No representation or warranty is given as to the completeness or accuracy of the forward-looking statements contained in this Announcement. Forward-looking statements speak only as of the date of such statements and, except as required by the FCA, the London Stock Exchange or applicable law, the Company undertakes no obligation to update or revise publicly any forward-looking statements, whether as a result of new information, future events or otherwise. No statement in this Announcement is intended to be a profit forecast and no statement in this Announcement should be interpreted to mean that earnings per share of the Company for the current or future financial years would necessarily match or exceed the historical published earnings per share of the Company. The price of shares and the income from them may go down as well as up and investors may not get back the full amount invested on disposal of the Placing Shares. THIS ANNOUNCEMENT, INCLUDING THIS APPENDIX (TOGETHER, THE “ANNOUNCEMENT”) AND THE INFORMATION IN IT, IS RESTRICTED, AND IS NOT FOR PUBLICATION, RELEASE OR DISTRIBUTION, DIRECTLY OR INDIRECTLY, IN WHOLE OR IN PART, IN OR INTO THE UNITED STATES, CANADA, AUSTRALIA, JAPAN, THE REPUBLIC OF IRELAND OR THE REPUBLIC OF SOUTH AFRICA OR ANY OTHER JURISDICTION IN WHICH SUCH PUBLICATION OR DISTRIBUTION WOULD BE UNLAWFUL. MEMBERS OF THE PUBLIC ARE NOT ELIGIBLE TO TAKE PART IN THE PLACING. THESE TERMS AND CONDITIONS ARE FOR INFORMATION PURPOSES ONLY AND ARE DIRECTED ONLY AT PERSONS IN MEMBER STATES OF THE EUROPEAN ECONOMIC AREA WHO ARE QUALIFIED INVESTORS AS DEFINED IN SECTION 86(7) OF FSMA (“QUALIFIED INVESTORS“) BEING PERSONS FALLING WITHIN THE MEANING OF ARTICLE 2(1)(E) OF THE PROSPECTUS DIRECTIVE; AND IN THE UNITED KINGDOM AT QUALIFIED INVESTORS WHO (I) HAVE PROFESSIONAL EXPERIENCE IN MATTERS RELATING TO INVESTMENTS FALLING WITHIN ARTICLE 19(5) OF THE FINANCIAL SERVICES AND MARKETS ACT 2000 (FINANCIAL PROMOTION) ORDER 2005 (THE “ORDER“); OR (II) FALL WITHIN ARTICLE 49(2)(A) TO (D) (HIGH NET WORTH COMPANIES, UNINCORPORATED ASSOCIATIONS, ETC) OF THE ORDER; OR (III) ARE PERSONS TO WHOM THEY MAY OTHERWISE BE LAWFULLY COMMUNICATED (ALL SUCH PERSONS TOGETHER BEING REFERRED TO AS “RELEVANT PERSONS“). THESE TERMS AND CONDITIONS MUST NOT BE ACTED ON OR RELIED ON BY PERSONS WHO ARE NOT RELEVANT PERSONS. ANY INVESTMENT OR INVESTMENT ACTIVITY TO WHICH THESE TERMS AND CONDITIONS RELATES IS AVAILABLE ONLY TO RELEVANT PERSONS AND WILL BE ENGAGED IN ONLY WITH RELEVANT PERSONS. THE ANNOUNCEMENT IS FOR INFORMATION PURPOSES ONLY AND DOES NOT ITSELF CONSTITUTE AN OFFER FOR SALE, ACQUISITION OR SUBSCRIPTION OF ANY SECURITIES IN THE COMPANY. THE ANNOUNCEMENT HAS BEEN ISSUED BY AND IS THE SOLE RESPONSIBILITY OF THE COMPANY. THE ANNOUNCEMENT IS NOT AN OFFER FOR SALE, ACQUISITION OR SUBSCRIPTION IN ANY JURISDICTION IN WHICH SUCH OFFER, SOLICITATION OR SALE WOULD BE UNLAWFUL UNDER THE SECURITIES LAWS OF ANY SUCH JURISDICTION. THE ANNOUNCEMENT IS NOT AN OFFER OF OR SOLICITATION TO PURCHASE OR SUBSCRIBE FOR SECURITIES IN THE UNITED STATES. THE SECURITIES REFERRED TO HEREIN HAVE NOT BEEN AND WILL NOT BE REGISTERED UNDER THE U.S. SECURITIES ACT OF 1933, AS AMENDED (THE “SECURITIES ACT“), AND MAY NOT BE OFFERED OR SOLD IN THE UNITED STATES, EXCEPT PURSUANT TO AN EXEMPTION FROM, OR IN A TRANSACTION NOT SUBJECT TO, THE REGISTRATION REQUIREMENTS OF THE SECURITIES ACT. NEITHER THE UNITED STATES SECURITIES AND EXCHANGE COMMISSION NOR ANY SECURITIES REGULATORY AUTHORITY OF ANY STATE OR OTHER JURISDICTION OF THE UNITED STATES HAS APPROVED OR DISAPPROVED OF AN INVESTMENT IN THE SECURITIES OR PASSED UPON OR ENDORSED THE MERITS OF THE PLACING OR THE ACCURACY OR ADEQUACY OF THE CONTENTS OF THIS ANNOUNCEMENT. ANY REPRESENTATION TO THE CONTRARY IS A CRIMINAL OFFENCE IN THE UNITED STATES. NO PUBLIC OFFERING OF SECURITIES IS BEING MADE IN THE UNITED STATES. NO MONEY, SECURITIES OR OTHER CONSIDERATION FROM ANY PERSON INSIDE THE UNITED STATES IS BEING SOLICITED AND, IF SENT IN RESPONSE TO THE INFORMATION CONTAINED IN THIS ANNOUNCEMENT, WILL NOT BE ACCEPTED. EACH PLACEE SHOULD CONSULT WITH ITS OWN ADVISERS AS TO LEGAL, TAX, BUSINESS AND RELATED ASPECTS OF AN INVESTMENT IN PLACING SHARES. it is not, and is not acting for the account or benefit of a person who is, a national of Canada, Australia, Japan or the Republic of South Africa. The Company, Numis and N+1 Singer will rely upon the truth and accuracy of the foregoing representations, acknowledgements and agreements. This Announcement has been prepared and issued by the Company and is and will be the sole responsibility of the Company. No representation or warranty, express or implied, is or will be made as to, or in relation to, and no responsibility or liability is or will be accepted by Numis, N+1 Singer or any of their respective directors, officers, employees, affiliates, branches, advisers, consultants or agents or any other person as to or in relation to, the accuracy or completeness of the Announcement or any other written or oral information made available to or publicly available to any Placee, any person acting on such Placee’s behalf or any of their respective advisers, and any liability therefor is expressly disclaimed. This Announcement does not constitute an offer, and may not be used in connection with an offer, to sell or issue or the solicitation of an offer to buy or subscribe for Placing Shares in any jurisdiction in which such offer or solicitation is or may be unlawful. This Announcement and the information contained herein is not for publication or distribution, directly or indirectly, to persons in the United States, Canada, Australia, Japan or the Republic of South Africa or in any jurisdiction in which such publication or distribution is unlawful. Persons into whose possession this Announcement may come are required by the Company to inform themselves about and to observe any restrictions of transfer of this Announcement. No public offer of securities of the Company is being made in the United Kingdom, the United States or elsewhere. In particular, the Placing Shares referred to in this Announcement have not been and will not be registered under the Securities Act or any laws of, or with any securities regulatory authority of, any state or other jurisdiction of the United States, and may not be offered, sold, pledged or otherwise transferred within the United States except pursuant to an exemption from, or in a transaction not subject to, the registration requirements of the Securities Act and the securities laws of any state or other jurisdiction of the United States. The Placing Shares are being offered and sold outside the United States in accordance with Regulation S under the Securities Act. No securities commission or similar authority in Canada has in any way passed on the merits of the securities offered hereunder and any representation to the contrary is an offence. No document in relation to the Placing has been, or will be, lodged with, or registered by the Australian Securities and Investments Commission, and no registration statement has been, or will be, filed with the Japanese Ministry of Finance in relation to the Placing or the Placing Shares. Accordingly, subject to certain exceptions, the Placing Shares may not, directly or indirectly, be offered or sold within Canada, Australia, Japan, the Republic of South Africa or the Republic of Ireland or offered or sold to a resident of Canada, Australia, Japan, the Republic of South Africa or the Republic of Ireland. The Placing Shares to be subscribed or acquired in the Placing have not been, and will not be, registered under the Securities Act or with any securities regulatory authority of any state or other jurisdiction of the United States and may not be offered or sold within the United States or to, or for the account or benefit of, any US Person as that term is defined in Regulation S under the Securities Act, except pursuant to an exemption from, or in a transaction not subject to the registration requirements of the Securities Act. The Company has not been registered and will not register under the United States Investment Company Act of 1940, as amended. Persons (including, without limitation, nominees and trustees) who have a contractual or other legal obligation to forward a copy of this Appendix or the Announcement of which it forms part should seek appropriate advice before taking any action. Numis and N+1 Singer have entered into the Placing Agreement with the Company. Pursuant to the Placing Agreement, each of Numis and N+1 Singer has undertaken, subject to the terms set out therein, to use its reasonable endeavours, as agent of the Company, to procure subscribers for the Cash Placing Shares and persons to acquire, as allottees, the Vendor Placing Shares at the Placing Price. The Placing Shares will, when issued, be subject to the Articles, be credited as fully paid and will rank pari passu in all respects with each other and with the existing Ordinary Shares, including the right to receive all dividends and other distributions declared, made or paid in respect of the Ordinary Shares after the date of issue of the Placing Shares. The Placing Shares will be issued free of any encumbrance, lien or other security interest. The Placing will be conducted by way of a Bookbuild. Numis and N+1 Singer will today commence the Bookbuild in respect of the Placing in order to determine demand for the Placing Shares and participation in the Placing by Placees at the Placing Price. This Appendix gives details of the terms and conditions of, and the mechanics of participation in, the Placing. The number of Placing Shares will be determined following completion of the Bookbuild as set out in this Announcement and the Placing Agreement. No commissions will be paid to Placees or by Placees in respect of any Placing Shares. Numis, N+1 Singer and the Company shall be entitled to effect the Placing by such alternative method to the Bookbuild as it may, in its sole discretion, determine. Numis, N+1 Singer and the Company reserve the right to scale back the number of Placing Shares to be allotted to any Placee in the event of an oversubscription under the Placing. Numis, N+1 Singer and the Company also reserve the right not to accept offers for Placing Shares or to accept such offers in part rather than in whole. Each Placee will be required to pay to Numis, on the Company’s behalf, an amount equal to the product of the Placing Price and the number of Placing Shares that such Placee is required to be allotted in accordance with the terms set out in or referred to in this Appendix. Each Placee’s obligation to be allotted and pay for Placing Shares under the Placing will be owed to each of the Company and Numis or N+1 Singer (as applicable). Each Placee will be deemed to have read this Appendix in its entirety. None of Numis, N+1 Singer or any respective holding company thereof, any subsidiary thereof, any subsidiary of any such holding company, any branch, affiliate or associated undertaking of any such company nor any of their respective directors, officers and employees (each an “Affiliate“) will have any liability (subject to applicable legislation and regulations) to Placees or to any person other than the Company in respect of the Placing. Application has been made to AIM for admission of the Placing Shares to trading on AIM. It is expected that Admission will become effective on or around 8.00 a.m. on 2 October 2017 and that dealings in the Placing Shares will commence at that time. Numis and N+1 Singer (whether through themselves or any of their respective Affiliates) are each arranging the Placing as joint brokers to the Company for the purpose of using their respective reasonable endeavours to procure Placees at the Placing Price for the Placing Shares. Participation in the Placing will only be available to persons who may lawfully be, and are, invited to participate by Numis or N+1 Singer. Numis, N+1 Singer and their respective Affiliates may participate in the Placing and Bookbuild as principal(s). Completion of the Bookbuild will be determined by Numis and N+1 Singer in their absolute discretion. A further announcement detailing the number of Placing Shares to be issued shall be made on a Regulatory Information Service as soon as is practicable following the completion of the Bookbuild. To bid in the Bookbuild, prospective Placees should communicate their bid by telephone to their usual sales contact at Numis or N+1 Singer. Each bid should state the number of Placing Shares which the prospective Placee wishes to subscribe for or acquire at the Placing Price, being 165 pence per Placing Share. Bids may be scaled down by Numis or N+1 Singer on the basis referred to below. The Bookbuild is expected to close no later than 4.30 pm on 28 September 2017 but may be closed earlier or later at the discretion of Numis and N+1 Singer. Numis and N+1 Singer may, with the Company’s written agreement, accept bids that are received after the Bookbuild has closed. The Company reserves the right to reduce or seek to increase the amount to be raised pursuant to the Placing, in its absolute discretion. The final allocations of the Placing Shares (including as to the identity of the Placees and the number of Placing Shares allocated to each Placee at the Placing Price) shall be determined by Numis and N+1 Singer in their absolute discretion. Each Placee which confirms its agreement to Numis or N+1 Singer (or applicable) (whether orally or in writing) to subscribe for or acquire Placing Shares hereby agrees with Numis and N+1 Singer that it will be bound by these terms and conditions and will be deemed to have irrevocably accepted them. Each Placee’s allocation will be confirmed to Placees orally or in writing by Numis or N+1 Singer (as applicable), and a trade confirmation or contract note will be despatched as soon as practicable thereafter. The confirmation to such Placee will constitute an irrevocable legally binding commitment upon such person (who will at that point become a Placee) in favour of Numis or N+1 Singer (as applicable) and the Company, under which it agrees to acquire the number of Placing Shares allocated to it at the Placing Price on these terms and conditions and in accordance with the Articles. Irrespective of the time at which a Placee’s allocation pursuant to the Placing is confirmed, settlement for all Placing Shares to be acquired pursuant to the Placing will be required to be made at the same time, on the basis explained below under “Registration and Settlement”. Numis will be acting as sole settlement bank. All obligations under the Placing will be subject to fulfilment or (where applicable) waiver of amongst other things, the conditions referred to below under “Conditions of the Placing” and to the Placing not being terminated on the basis referred to below under “Right to terminate under the Placing Agreement”. By participating in the Placing, each Placee will agree that its rights and obligations in respect of the Placing will terminate only in the circumstances described below and will not be capable of rescission or termination by the Placee. Each Placee’s obligations will be owed to the Company, and to Numis or N+1 Singer (as applicable). Following the oral or written confirmation referred to above, each Placee will also have an immediate, separate, irrevocable and binding obligation, owed to Numis or N+1 Singer (as applicable) as agent of the Company and to the Company, to pay to Numis) in cleared funds an amount equal to the product of the Placing Price and the number of Placing Shares such Placee has agreed to acquire. Numis and N+1 Singer may choose to accept bids, either in whole or in part, on the basis of allocations determined at their discretion (in agreement with the Company) and may scale down any bids for this purpose on such basis as it may determine. Numis and N+1 Singer may also, notwithstanding the above, but subject to the prior consent of the Company (i) allocate Placing Shares after the time of any initial allocation to any person submitting a bid after that time; and (ii) allocate Placing Shares after the Bookbuild has closed to any person submitting a bid after that time. The Company, Numis and N+1 Singer acting together reserve the right not to accept bids or to accept bids in part rather than in whole. To the fullest extent permissible by law, none of Numis, N+1 Singer, any of their respective Affiliates, and any person acting on their behalf shall have any liability to Placees (or to any other person whether acting on behalf of a Placee or otherwise). Each Placee acknowledges and agrees that the Company is responsible for the allotment of the Placing Shares to the Placees and that Numis and N+1 Singer shall have no liability to the Placees for the failure of the Company to fulfil those obligations. All obligations of Numis and N+1 Singer under the Placing will be subject to fulfilment of the conditions referred to below under “Conditions of the Placing”. (d) Admission occurring not later than 8.00 a.m. on 2 October 2017 or such later time as Numis (after consultation with N+1 Singer) may agree in writing with the Company (but in any event not later than 8.00 a.m. on 9 October 2017). If (a) the conditions are not fulfilled (or to the extent permitted under the Placing Agreement waived by Numis and N+1 Singer), or (b) the Placing Agreement is terminated in the circumstances specified below, the Placing will lapse and each Placee’s rights and obligations hereunder shall cease and determine at such time and no claim may be made by a Placee in respect thereof. None of Numis, N+1 Singer or the Company, nor any of their respective Affiliates shall have any liability to any Placee (or to any other person whether acting on behalf of a Placee or otherwise) in respect of any decision it may make as to whether or not to waive or to extend the time and/or date for the satisfaction of any condition in the Placing Agreement or in respect of the Placing generally. By participating in the Placing, each Placee agrees that its rights and obligations hereunder terminate only in the circumstances described below under “Right to terminate under the Placing Agreement”, and will not be capable of rescission or termination by the Placee. (e) in the opinion of either Numis and/or N+1 Singer, any material adverse change, or any development reasonably likely to involve a material adverse change, has occurred in the financial position or prospects or business of the Company and its subsidiary undertakings (taken as whole and including PSR). By participating in the Placing, each Placee agrees with Numis and N+1 Singer that the exercise by Numis and/or N+1 Singer of any right of termination or other discretion under the Placing Agreement shall be within their absolute discretion without the need to make any reference to the Placees in this regard and that, to the fullest extent permitted by law, Numis and N+1 Singer shall not have any liability whatsoever to the Placees in connection with any such exercise. No offering document or prospectus has been or will be prepared in relation to the Placing and no such prospectus is required (in accordance with the Prospectus Directive) to be published and Placees’ commitments will be made solely on the basis of the information contained in this document and any information previously published by or on behalf of the Company by notification to a Regulatory Information Service (as defined in the AIM Rules). Each Placee, by accepting a participation in the Placing, agrees that the content of this document is exclusively the responsibility of the Company and confirms to Numis and N+1 Singer and the Company that it has neither received nor relied on any information, representation, warranty or statement made by or on behalf of Numis and N+1 Singer(other than the amount of the relevant Placing participation in the oral or written confirmation given to Placees and the trade confirmation or contract note referred to below), any of their respective Affiliates, any persons acting on its behalf or the Company and none of Numis or N+1 Singer, any of their respective Affiliates, any persons acting on their behalf, nor the Company will be liable for the decision of any Placee to participate in the Placing based on any other information, representation, warranty or statement which the Placee may have obtained or received (regardless of whether or not such information, representation, warranty or statement was given or made by or on behalf of any such persons). By participating in the Placing, each Placee acknowledges to and agrees with each of Numis and N+1 Singer (in each case for itself and as agent for the Company) that, except in relation to the information contained in this document, it has relied on its own investigation of the business, financial or other position of the Company in deciding to participate in the Placing. Nothing in this paragraph shall exclude the liability of any person for fraudulent misrepresentation. Settlement will solely be through Numis against CREST ID: 600 (Numis Nominees Limited). Settlement of transactions in the Placing Shares (ISIN GB00BN7ZCY67) following Admission will take place within the CREST system, using the DVP mechanism, subject to certain exceptions. Numis and N+1 Singer reserve the right to require settlement for and delivery of the Placing Shares to Placees by such other means that they deem necessary, if delivery or settlement is not possible or practicable within the CREST system within the timetable set out in this document or would not be consistent with the regulatory requirements in the Placee’s jurisdiction. It is expected that settlement will take place on or about 2 October 2017 in CREST in accordance with the instructions set out in the conditional trade confirmation or contract note. Following the close of the Bookbuild, each Placee allocated Placing Shares in the Placing will be sent a trade confirmation or contract note stating the number of Placing Shares allocated to it, the Placing Price, the aggregate amount owed by such Placee to Numis and settlement instructions. It is expected that such trade confirmation or contract note will be despatched on 28 September 2017. Each Placee agrees that it will do all things necessary to ensure that delivery and payment is completed in accordance with either the standing CREST or certificated settlement instructions which it has in place with Numis. It is expected that settlement will be on 2 October 2017 on a DVP basis in accordance with the instructions set out in the trade confirmation or contract note unless otherwise notified by Numis. Each Placee is deemed to agree that if it does not comply with these obligations, Numis or N+1 Singer (as applicable) may sell any or all of the Placing Shares allocated to the Placee on such Placee’s behalf and retain from the proceeds, for Numis’ or N+1 Singer’s (as applicable) own account and profit, an amount equal to the aggregate amount owed by the Placee plus any interest due. The Placee will, however, remain liable for any shortfall below the aggregate amount owed by such Placee and it may be required to bear any stamp duty or stamp duty reserve tax (together with any interest or penalties) which may arise upon the sale of such Placing Shares on such Placee’s behalf. Insofar as Placing Shares are registered in the Placee’s name or that of its nominee or in the name of any person for whom the Placee is contracting as agent or that of a nominee for such person, such Placing Shares will, subject as provided below, be so registered free from any liability to PTM levy, stamp duty or stamp duty reserve tax. If there are any circumstances in which any other stamp duty or stamp duty reserve tax is payable in respect of the issue of the Placing Shares, none of Numis, N+1 Singer or the Company shall be responsible for the payment thereof. Placees will not be entitled to receive any fee or commission in connection with the Placing. (hh) it will indemnify and hold the Company, Numis, N+1 Singer and their respective Affiliates harmless from any and all costs, claims, liabilities and expenses (including legal fees and expenses) arising out of or in connection with any breach of the representations, warranties, acknowledgements, agreements and undertakings in this Appendix and further agrees that the provisions of this Appendix will survive after completion of the Placing. The Company, Numis and N+1 Singer will rely upon the truth and accuracy of each of the foregoing representations, warranties and undertakings. If any of Numis, N+1 Singer, the Registrar or the Company (or any of their respective agents) request any information about a Placee’s agreement to acquire Placing Shares, such Placee must promptly disclose it to them. The rights and remedies of Numis, N+1 Singer, the Registrar and the Company under these terms and conditions are in addition to any rights and remedies which would otherwise be available to each of them and the exercise or partial exercise of one will not prevent the exercise of others. All documents will be sent at the Placee’s risk. They may be sent by post to such Placee at an address notified to Numis or N+1 Singer (as applicable). Each Placee agrees to be bound by the Articles once the Placing Shares which such Placee has agreed to acquire have been acquired by such Placee. The provisions of this Appendix may be waived, varied or modified as regards specific Placees or on a general basis by Numis or N+1 Singer (as applicable). The contract to acquire Placing Shares and the appointments and authorities mentioned herein will be governed by, and construed in accordance with, the laws of England and Wales. For the exclusive benefit of Numis, N+1 Singer the Company and the Registrar, each Placee irrevocably submits to the exclusive jurisdiction of the English courts in respect of these matters. This does not prevent an action being taken against a Placee in any other jurisdiction. In the case of a joint agreement to acquire Placing Shares, references to a “Placee” in these terms and conditions are to each of such Placees and such joint Placees’ liability is joint and several. All times and dates in this document are subject to amendment and Numis, N+1 Singer, the Company each expressly reserve the right to modify the Placing (including, without limitation, its timetable and settlement) at any time before allocations of Placing Shares under the Placing are determined. The Placing is subject to the satisfaction of the conditions contained in the Placing Agreement and the Placing Agreement not having been terminated. Further details of the terms of the Placing Agreement are set out above. “Bookbuild” means the accelerated bookbuild process to be conducted in relation to the Placing which will establish the demand for and total number of Placing Shares to be issued pursuant to the Placing at the Placing Price. “N+1 Singer” Nplus1 Singer Advisory LLP, registered in England and Wales with number OC364131, whose registered office is at One, Bartholomew Lane, London EC2N 2AX and its affiliate, Nplus1Singer Capital Markets Limited, registered in England and Wales with number 0572780, whose registered office is at One, Bartholomew Lane, London EC2N 2AX. “Vendor Placing Shares” means new Ordinary Shares to be issued and allotted by the Company pursuant to the terms of the Placing Agreement and the Acquisition Agreement to persons nominated by N+1 Singer and/or Numis in consideration of the transfer of the shares of the Target.